I feel you, your skin. I know you're saying something. all I smell is blood, blood, blood." 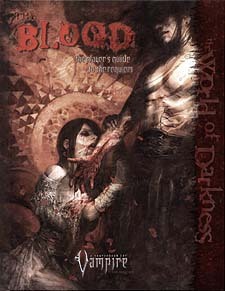 * The definitive handbook for Vampire players, containing unique new insights into the Requiem. Read what it feels like to use a vampire's supernatural powers and learn how the Kindred think the Blood works. * A new look at all the core mechanisms of the game, from Predator's Taint to the Embrace Discover updated examinations at how these rules work and how to put them to use in your own chronicles. * New essays and examinations on how to create characters for Vampire: The Requiem - and how to use dramatic storytelling techniques to bring them to life at the game table.